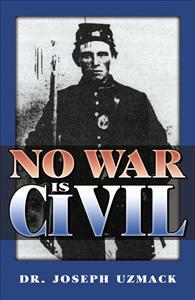 Follow the Civil War service of nine men related by blood or marriage, whose religious beliefs forbid violence. Why were they so willing to kill and maim their fellow man? The isolated, provincial region of the Allegheny Mountains of Northwestern Pennsylvania produced most of the iron ingots used to manufacture the weapons and equipment the Union Army used during the Civil War. This region also provided thousands of men who willingly left their wives and families to join the Union Army and fight the south. These men didn’t know, nor did they care, what caused the war. This story traces the bloody, often tragic, Civil War service of nine men related by blood or marriage who also shared the common religious background that forbids violence.